Adventure awaits in your own backyard. 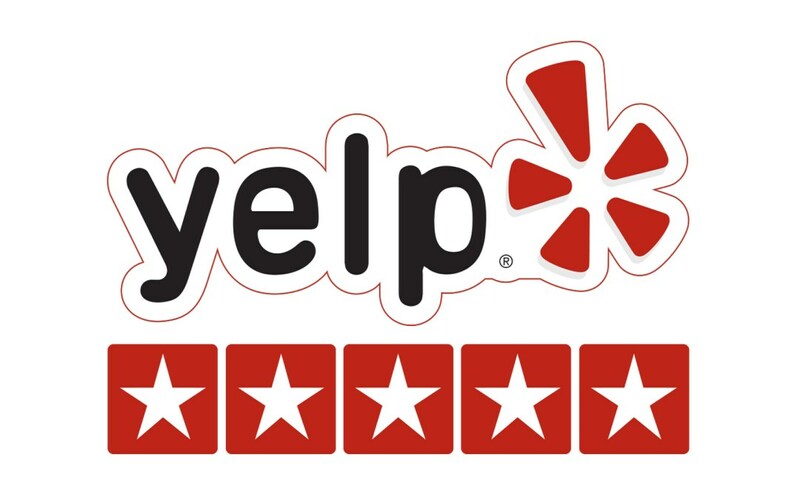 A 5 star rated business on Yelp, Circle Bar B Riding Stable is the oldest and finest public horseback riding stable on Santa Barbara County’s South Coast. For over 70 years, guests have been enjoying the coastal mountain paradise of our California dude ranch, located on more than 1,000 private acres in Gaviota. The ride was wonderful, rising up into the Santa Ynez Mountains to a viewing spot where we could see the Pacific Ocean. The ride wound through forests, over streams…these folks were the kindest group of people I’ve met in a long time. 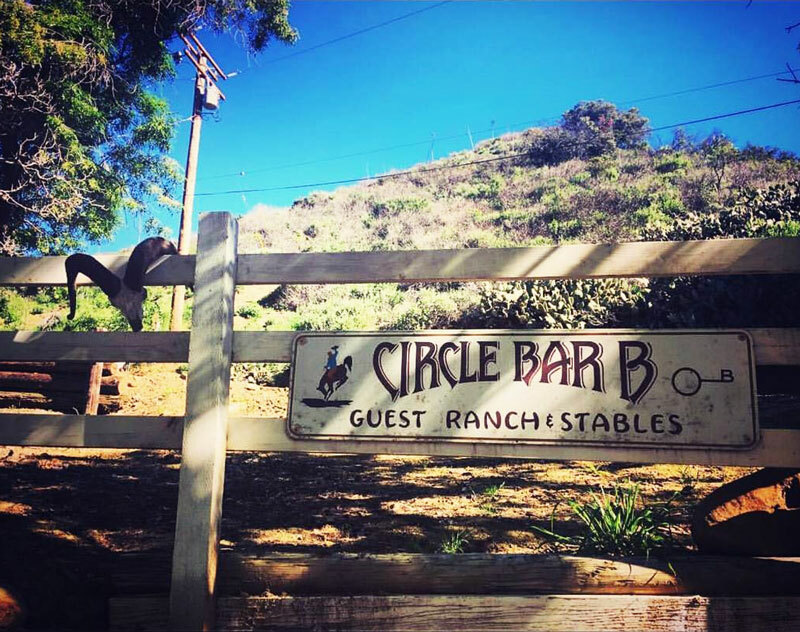 Located half an hour away from Santa Barbara, Solvang hotels, and Santa Ynez wine country, and less than 2 hours from Los Angeles, Circle Bar B Stables offers a coastal mountain escape in your own backyard. Circle Bar B offers a variety of horseback riding experiences, including 1-1/2-hour rides, 2-1/2-hour rides, 1/2-day rides, and private rides, with a great selection of seasoned horses for all ages and riding abilities. 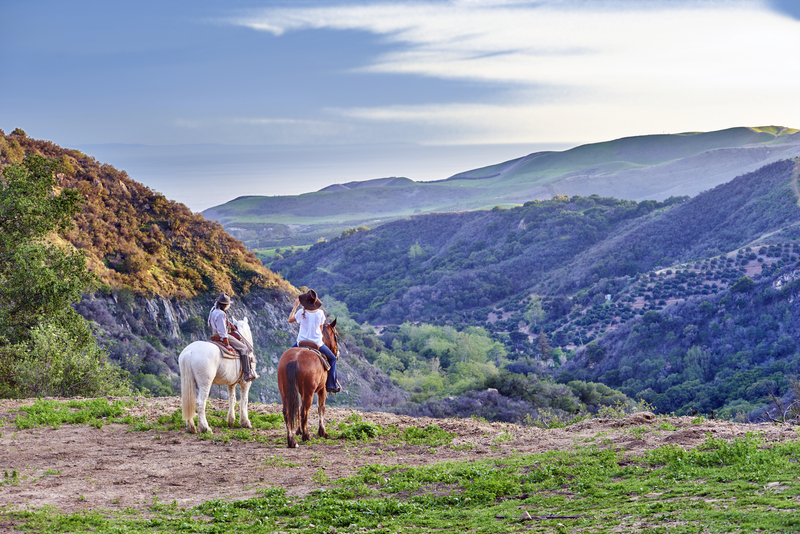 Trail rides on our 1,000 private acres take you up fern-lined canyons, across streams, and past waterfalls to magnificent vistas of the Pacific Ocean and Santa Barbara Channel Islands. 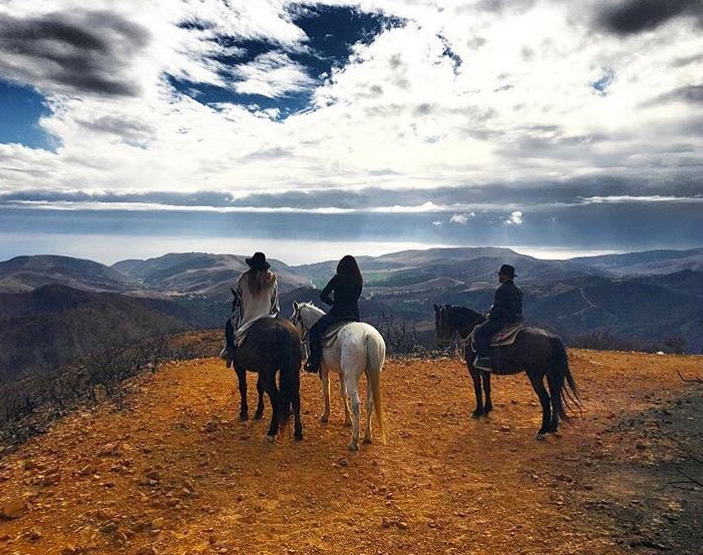 Our private horseback riding trails provide an unforgettable adventure, passing through breathtaking scenery to enjoy spectacular views of the California coastline. 4 hours, from 9:00 am until 1:00 pm. 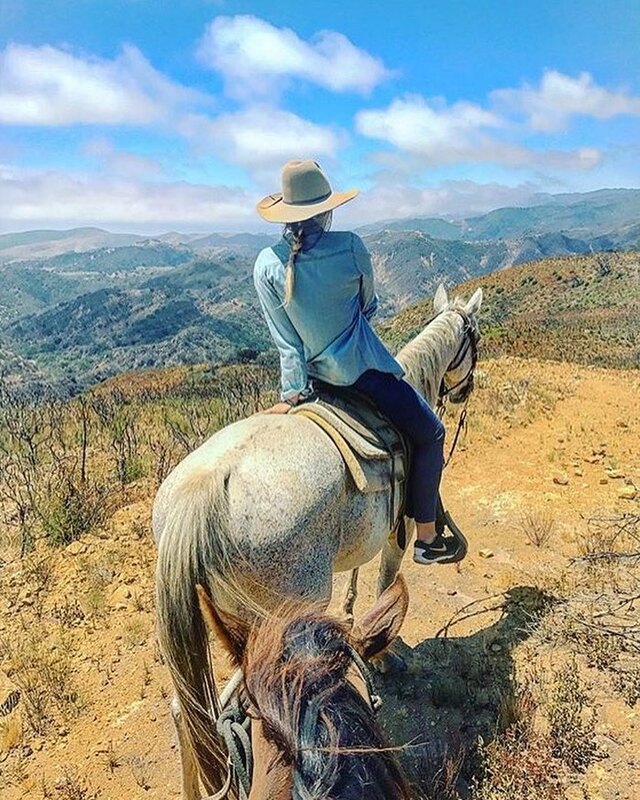 A true Santa Barbara horseback riding adventure, the half day ride has you climbing nearly 2,000 vertical feet to the summit of Refugio Canyon, bordering former President Reagan's beloved Rancho Cielo. The perfect choice for people that want to enjoy our scenic Santa Barbara horseback riding ranch and the trails by themselves, accompanied only by a guide. 2 person minimum. Contact us at 805-968-3901 to book your ride now, or use the contact form below to make your ride request. Last minute bookings welcome! Ride prices do not include gratuity for your guide. 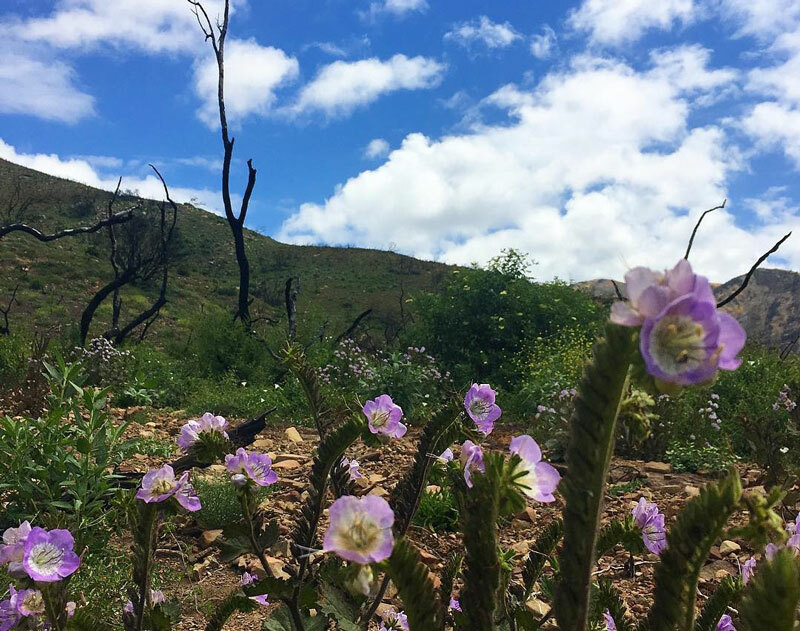 Romance, adventure and the great outdoors: it’s all here at Circle Bar B. After experiencing the unique beauty of Circle Bar B at sunset, enjoy a glass of local wine at the stables. New at Circle Bar B: a sunset ride followed by craft wine tasting from local Santa Ynez wineries. Enjoy the beauty of Circle Bar B with your own twist. Need to make a special day unforgettable? Contact us about our custom and private horseback riding packages. Redefine team building with company getaways and unique corporate retreat options at Circle Bar B Stables. Offer a unique company getaway at our Santa Barbara dude ranch, where even a day trip feels a world away. Last minute bookings are welcome – our wranglers are waiting by the phone! For immediate service, please call our stables at 805-968-3901. You can also fill out the below form to make a ride reservation request. 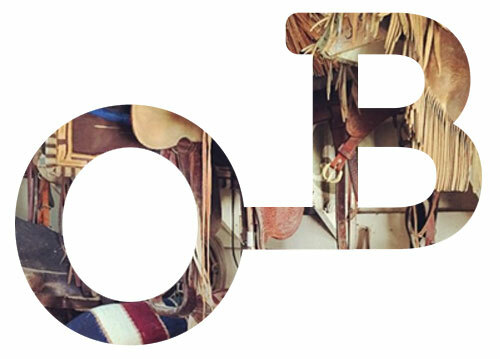 Note: your reservation is not complete until confirmed by Circle Bar B Stables. Riders must be 7 years of age or older.